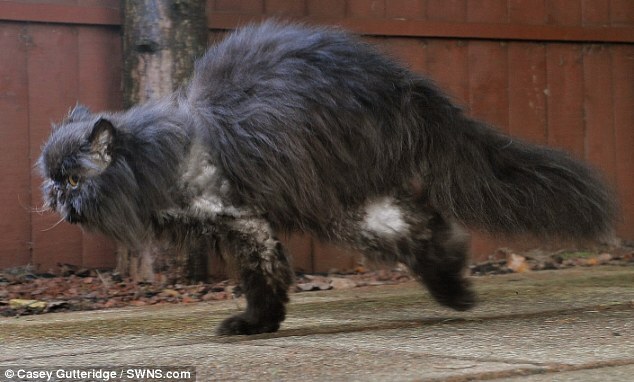 Home » Caffrey the Amazing Two-Legged Cat! 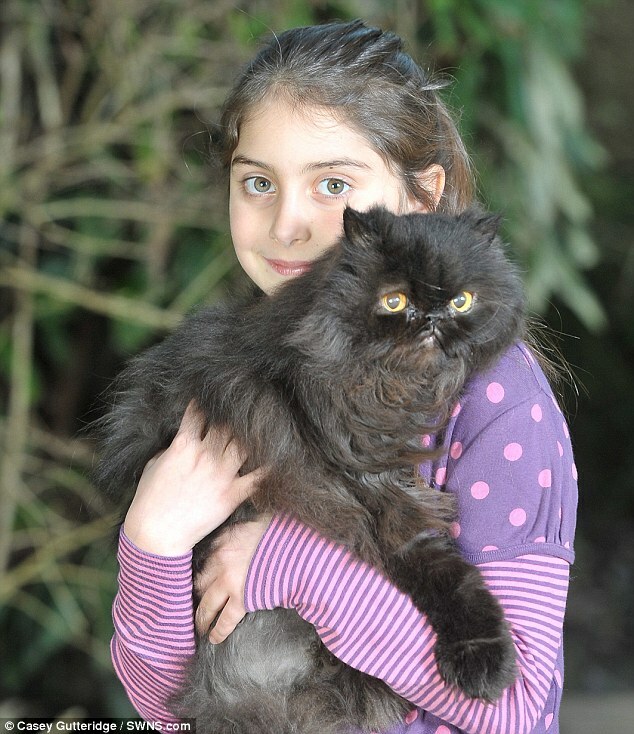 Caffrey, the amazing moggie who survives on two legs… and they’re both on the same side! Climbing trees, chasing mice, showing off to the ladies . . . four legs were always handy for Caffrey the cat. Then tragedy struck. 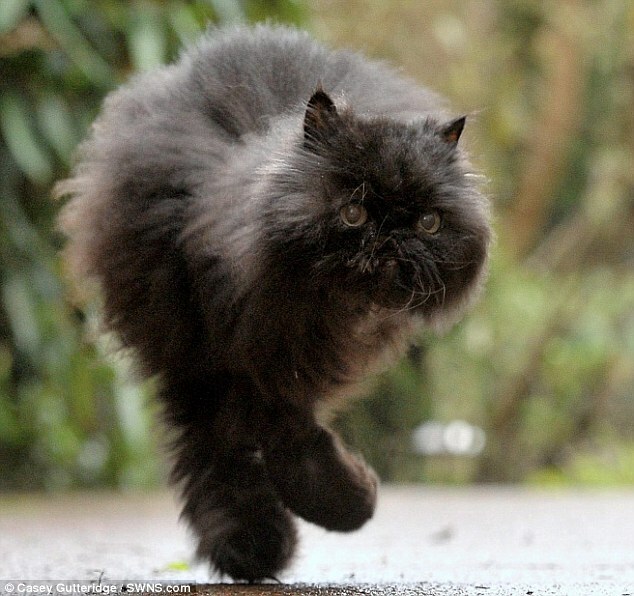 When Caffrey was three, the handsome grey Persian was run over by a car and lost his left hind leg. Oh well. Not to worry. 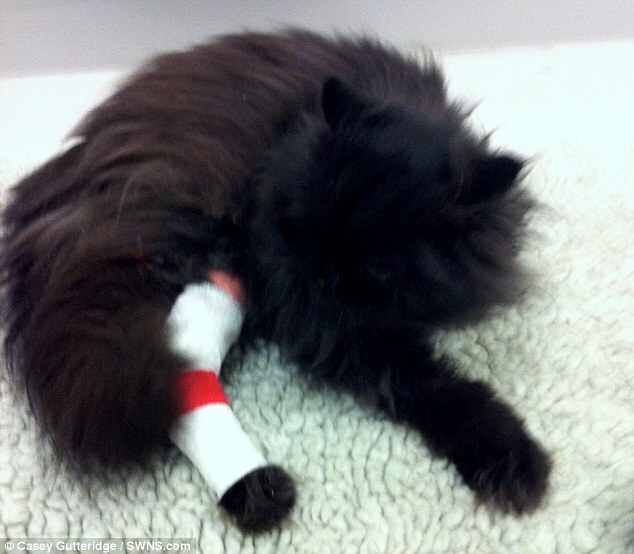 He happily carried on with three, thanks to a £3,500 series of operations that stitched up the damage and made the best of his front left paw, which was also injured in the crash. For the next ten years or so, he coped so well it was easy to forget his disability. But four months ago he developed a malignant growth on the repaired front leg. His owner Sue Greaves, 58, couldn’t bear to have him put down or put him through the pain of chemotherapy with no guarantee of success. So she pleaded Paul Harris reports ‘He doesn’t seem bothered at all’ for option three – amputating the leg, leaving him with only two, both on the right side. Well, Caffrey, take a bow. And a run around the garden. 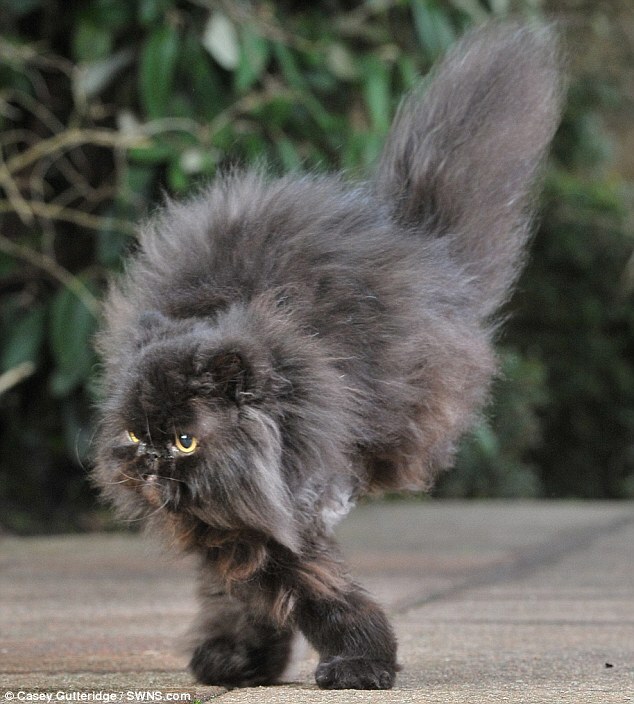 And just for good measure, try a ballet-style pirouette. Although he was expected to spend weeks recovering at home in Woking, Surrey, within days he had achieved near perfect balance – helped by next door neighbour Ashleigh Tyler, eight, who joined the campaign to nurse him back to health. And less than two months after the £4,000 operation, he is skipping along like a cat on a hot tin roof.